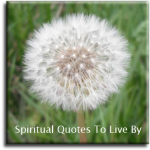 For my blog I write about the quote photos I have added in the past. At the end of 2016 I began to write poems for each quote. The above photo was added to my Facebook Page in October 2010. The poem was written today. As it was many years ago that I made up the original quote photograph, I have decided to re-do the ones that I don't think are good enough now. Also, this new picture below is linked to an online jigsaw puzzle, so you can have a go at piecing it together from an assortment of puzzle piece sizes.